The missing boy's father Brendan Collins gave a powerful message to his son when he spoke to The Daily Telegraphtoday. 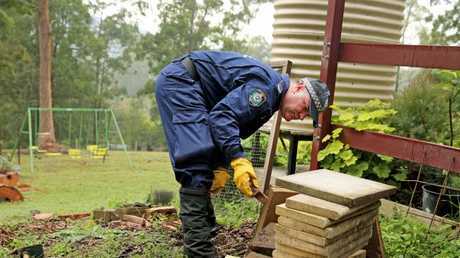 "I've been out looking for you with a shovel digging in bushland … I know there's no point," he told the newspaper. A child's toy along with other bags of evidence were collected yesterday as the intensive new search to solve the mystery of the missing boy in a Spiderman suit began. 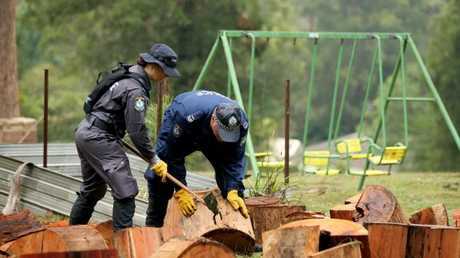 However, police have not yet confirmed whether any of the new discoveries, made in dense bushland on NSW's Mid North Coast, identify any link with the missing boy. 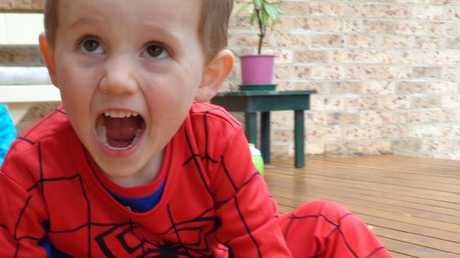 William Tyrrell, then aged just three, vanished from his foster grandmother's property in Kendall on the New South Wales mid north coast on September 12, 2014. Speaking on ABC's 7.30 last night Detective Chief Inspector Gary Jubelin said there was 690 persons of interest when the $1 million reward was offered for information leading to William's return in 2016. "We've reduced the majority of the low risk persons of interest," he said. 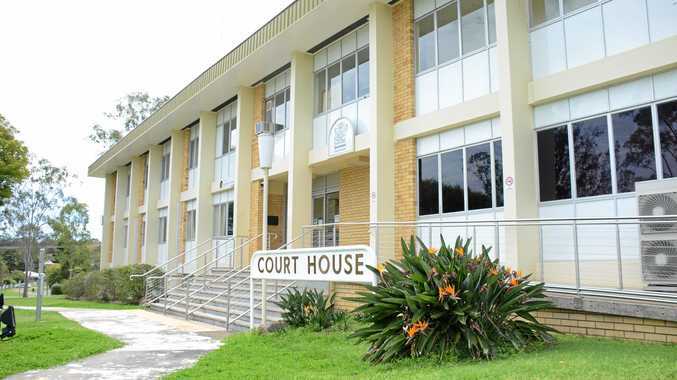 "We're concentrating on some high risk persons of interest and that's what those investigators attached to the Strike Force have been concentrating on. But we have substantially reduced the persons of interest." "Each day we gather information, we build up a database of information we can refer to when we're following lines of inquiry," he said. Some officers were seen leaving the dense scrub carrying evidence bags of "foreign objects", but nothing believed to be linked to the case. He believes William's abductor has already come under the investigation's radar, and the new search, combined with the million dollar reward on offer and the intense media interest would mean "the person involved in this, I am certain" would be feeling "a great deal of pressure". "And I think the people around that person would be suspicious of their behaviour under pressure." Insp Jubelin added. "And we make no excuse for it. I want that person to feel under pressure." William's foster family have never given up hope of finding the boy, and on Wednesday they posted a message to social media. "Today marks 1370 heartbreaking days since William disappeared," it read. "William's loved ones are, and will forever be indebted to the tremendous ongoing commitment of NSW Police; in particular, Strike Force Rosann who have been absolutely relentless in their ongoing investigation in the search for William. "Since that tragic day on Friday 12 September 2014, hearts across Australia have been broken, but we have and will continue to maintain unwavering faith in NSW Police and carry hope in our hearts that William will be found. He is in our hearts always … Always." 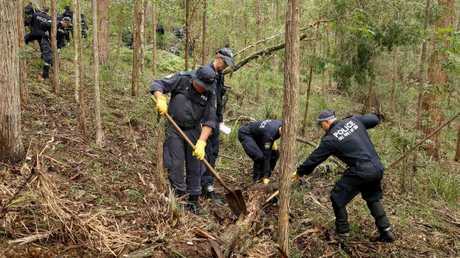 MARCH 2 - Police search bushland near Bonny Hills for three days after a tip-off.